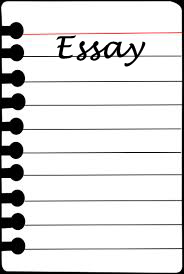 Feel free to submit your essay below for review or contribute your thoughts on other essays posted. Both activities will help you prepare for the exam and the more you contribute, the more you will get out of this section. Examples of human activities that contribute to carbon dioxide, methane and other gases released into the environment include coal production for electricity, cars and other forms of transportation, heating and waste from commercial and residential real estate, livestock production, deforestation and more. Your essay should be well-organized and include support from the story for your main ideas. If commenting on the essays please remember the rules and stick with positive suggestions that can help the author. Focus on the essay structure and quality. The following guidelines are by no means compete, but can serve as a guide for useful suggestions. Quality and impact of thesis statement and opening paragraph. This may be the most important paragraph. Does it provide a roadmap for the essay? Supporting paragraphs. Do these follow the outline of the 1st paragraph? Do they use explicit examples and not deviate unnecessarily from topic? Prose. Are the sentences direct and effective with proper grammar and correct spelling? Conclusion. Perhaps the least important paragraph. Does it wrap it all up? If I was given the choice and power to prohibit the manufacture, distribution, and usage of all cars, just to cut down on pollution, I would most certainly deny it. Why would I destroy millions of jobs and practically wipe out one of the world’s largest industries? To add to that, why would I reduce the world’s largest transportation method into dust? Cars are one of the world’s greatest inventions, so what right do I have to obliterate it? All just to reduce pollution, a problem that environmentalists are actively pursuing and finding less-destructive solutions for? Theoretically, If I were to call on this decision, its biggest impact would be, without the slightest bit of doubt, on the economy. Millions of jobs would disappear into thin air. Automotive companies would crumble. So-called “road trips” would be obliterated as the world would look to more expensive options such as long-term flights or long-distance public transportation. Steel would be virtually costless, as we would have such an abundance of it without the constant need to manufacture more and more cars at every minute across the globe. Another huge impact the loss of the car would make would be on the people themselves. People would miss the car so much that public transportation, such as buses would replace them. This, in fact, would undermine the very reason for the prohibition of the car in the first place, as buses, trains and other forms of public transportation emit more pollution than the car. Lots of people would lose their restaurants, stores, and buildings as people looking for a nice meal or outing with their family would look only within walking distance of their homes. Eventually, the people would riot and the situation would mirror the Twenty-first­­—Eighteenth Amendment situation in which people protested the prohibition of alcohol until it was eventually repealed. Lastly, I would question the nature of the decision. Why would we remove cars for pollution? Instead of obliterating cars altogether, I would rather put more money and funding into environmental companies pursuing solutions for pollution. I would fund more energy-efficient automobile manufacturers. I would rather produce and distribute twenty-first century cars that do a good job of reducing gas emissions. There are plenty of smaller yet more effective solutions to pollution rather than the removal of the car itself. To sum it all up, no sane, critically-thinking person with a good perspective on the world would ever prohibit or eliminate the invention of the car. The car is a vital part of the world’s economy, the average citizen’s household, and an all-around key part of one’s life. There is absolutely no reason to remove the car just for pollution, as there are many, many more household- and economy-friendly solutions to the problem of world pollution. The essay topic for this page asks you to make a decision between different options for protecting the environment. Any question about eliminating cars entirely is not terribly interesting as there are many options to consider prior to it. This prompt will hopefully get you to think about which options are more desirable and why. I feel that something is up for the prompt to change to a completely different one right after I posted my essay. What makes this even more unfair is that I was the one who proposed the essay prompt via email and asked for a website moderator to review my response to the prompt. I submitted that email on October 23. What ended up happening was a category for the prompt was made, 6 days later, on October 29. Unlike last time, my essay was not posted, and I was under the impression that you hadn’t got to it yet. On November 6, 14 days after I sent the first email, I emailed again to see if my essay was reviewed. No response. Getting impatient, I resubmitted my response, but this time on the website instead of via email. Today I check back to find that the prompt is totally different, and my essay wasn’t reviewed. And, finally, to your response to my essay, the essay prompt I attempted to answer was not made up by me. This was a real essay given to TJ applicants. A close friend of mine who went to TJ gave me this prompt and told me that this was the prompt they were given during the application process. So, although it may not be “terribly interesting”, it was a real essay prompt, and I attempted to answer it to the best of my ability with my personal opinions and beliefs. All fair points given your timeline, but I think you exclude the response to your original essay which was emailed to you within days of submission. Synopsis below. We will try our best to review unpublished essay responses and meet student requests, but we cannot make any promises. I empathize with your feelings, but at the end of the day you get the chance to practice two essays that were not previously available and have them reviewed. I hope you will see that as a benefit. If I had the power to prohibit one activity or industry that produces greenhouse gas emissions in order to save our environment, I would choose to prevent deforestation. My first reason for this is that deforestation destroys wildlife and wildlife habitats. Also, by taking out our trees and plants, there will be a great amount of pollution in that area which will affect possibly the other inhabited areas that are close by. Next would be this question. Why would someone even think of building an industrial type building in a forest area when there are plains to work with or using the raw material to create products when there are other options of material to have them be created with? I believe that forests are very important and valuable, and that they should not be eliminated. My first reason is that many species of wildlife will be destroyed by deforestation. By taking down forests, you are taking down many organisms that depend on it too. A big percentage of wildlife and thousands of species of animals and insects of all sorts live in our forests. If deforestation keeps up then most of these animals, if not all will become endangered and possibly extinct. I believe that the wildlife in the forests are just as important as the forests themselves. Also, when taking down forests for other terrible industrial structures and buildings or roads and highways that may also cause greenhouse gas emissions, pollution would be caused to other inhabited areas around that deforested area. Vehicles cause a ton of this pollution. Also, trees create oxygen from carbon dioxide through photosynthesis, and by destroying them, you are basically taking away oxygen that is something that as humans, we required to breath in 24/7. Polluted areas from deforestation cause many diseases such as lung cancer. By deforesting, we are basically causing harm to ourselves the the areas that we live in. When there are so many plains and other areas that are available to build on, I believe that it is not smart to even think of building in forested areas. Why would someone want to build a factory on a precious piece of land when there are so many unused plains to build on. Even if the plants were to be used for fuel and other reasons, there are so many substitutes that exist for them to be used for. One example would be recycled items like paper. Instead of cutting down more trees, items that have already been used would be reused to make a sheet of paper. There are many other human activities and several industries that cause pollution to our planet and our society, but I believe that the activity of deforestation is the most important of all. We are causing harm to ourselves, and taking away the homes of many species of animals. Also would be the fact that industrial buildings can be constructed in non-forest areas like plains which would not cause as much harm to the environment. There are also substitutes available for the multiple products that usually are created by plants and raw materials like wood. In the end, I believe that deforestation should be stopped and more than enough of our world has been affected by it already. This shows improved organization. Make an outline of your 3 arguments. It should help in general. It is easy to follow your thesis and the reasons which are all summed up in the conclusion. You put your strongest argument first. I think things get a little befuddled on your follow on argument. “Next would be this question. Why would someone even think of building an industrial type building in a forest area when there are plains to work with or using the raw material to create products when there are other options of material to have them be created with? ” Provide the roadmap of your arguments and keep it simple. I could give several answers to your question that undermine your case. Do you really want the reader to respond to your questions that way and why ask the questions in the middle of your intro? Stick to your argument roadmap. That could be as simple as listing them…argument1, argument 2, argument 3. If you have a profound question then use it to set the scene or hook the reader up front. Otherwise just be clear and concise and make your case without breaking the rhythm. I really need a reply before 1/28/17 which is my TJ essay exam. If I were given the choice and power to prohibit one industry or human activity that produces substantial greenhouse gas emissions in order to save our environment, I would prohibit fossil fuel production for electricity because it is one of the main pollutants and is a major reason why there’s smog and a hole in the ozone layer. Why can’t we just replace fossil fuels with wind power, solar energy, tidal energy, or hydroelectric power? And if we prohibit the industry, it will reduce the number of oil spills and coal mining accidents. So my three reasons are that fossil fuel production is a major pollutant, we can replace fossil fuels with renewable energy, and it will prevent accidents. My first reason is that fossil fuels are a major pollutant. What else might have caused a giant hole in the ozone layer? Also, cities like Beijing, Moscow, and Mexico City are suffering from some serious smog. You can’t even see the sky! People are suffering from lung diseases because they are breathing in toxic air. Most of this air comes from fossil fuels and carbon dioxide. If we prohibit fossil fuel production, these cities will be cleared out the smog and you can see the stars again. Also, it will prevent diseases like bronchitis and asthma. My next reason is that we can replace the fossil fuels with renewable energy, like wind, the Sun, tides, and rivers. I know the reason why people don’t think that these are sufficient resources are because of the availability of each source in different areas. But who says that the entire world has to be powered on solar panels or windmills? Each area can use different sources that work the best for them. Also, just in case, we can store some of that energy to use in case something bad happens. My last reason is because it can prevent accidents. Since there is no coal to mine, no oil to export or import, it will prevent oil spills and coal mining accidents. And removing fossil fuels won’t remove jobs, it will replace them. New jobs will be needed to create windmills and solar panels and dams to harness the energy needed to produce electricity. There will be less problems and disorders created from coal mines and oil spills and it will also benefit the environment. To sum it all up, if I were given the choice and power to prohibit one industry or human activity that produces substantial greenhouse gas emissions in order to save our environment, I would prohibit fossil fuel production for electricity because it is one of the major causes of air pollution, we can replace it with renewable energy sources, and it can help prevent many accidents such as coal mining explosions an oil spills. Together we can help save our environment and cure the hole in the ozone layer and stop air pollution. It will make a big difference in our world. But we can’t do that without prohibiting fossil fuel production.